Rev. 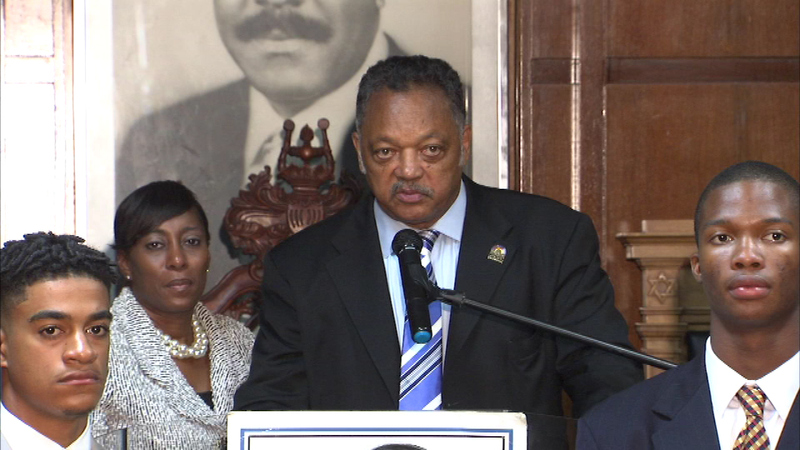 Jesse Jackson speaks at Rainbow Push Coalition headquarters. CHICAGO (WLS) -- The Rainbow PUSH Coalition remembered Emmett Till Saturday, 60 years after the 14-year-old was kidnapped and murdered. Till, who was from Chicago, was killed for allegedly whistling at a white woman while he was visiting Mississippi. Saturday the coalition also awarded nearly a dozen students with scholarships totaling $75,000. Those students also received free cars. Backpacks and school supplies were also given out.